If you would like to start selling your products online, PrestaShop offers everything you need to move forward in e-commerce. Promote your brand and sell your products worldwide with our help. We provide complex solutions which will guide your business through the technical difficulties. You can focus on your products, we will handle all technical aspects. We provide professional and complex services in terms of PrestaShop installation, configuration, maintenance, online shop optimisation and sales automation. We are writing code and developing PrestaShop modules for over 10 years. Our solutions are tested in many environments. Let us install PrestaShop for you. 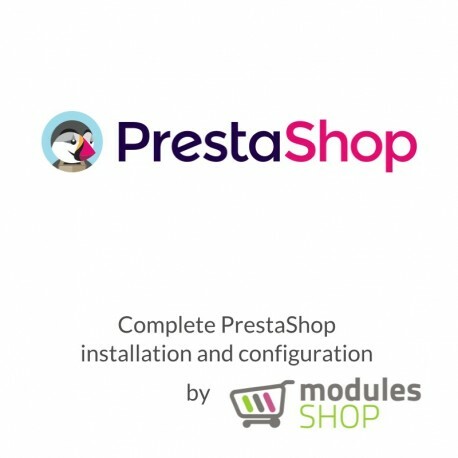 We offer a service which includes installation and configuration of PrestaShop for you. You get fully working online shop ready to add your products and start selling them online! Contact us to get all the information and pricing plans.